Information is collected from you primarily to make it easier and more rewarding for you to use our services. Depending on the service you are accessing, you could be asked to provide information such as your name, email address or information about what you like and do not like. It is entirely your choice whether to respond to these questions or not. Winthrop automatically gathers anonymous information to monitor the use of Winthrop Online services like the numbers and frequency of visitors to Winthrop and its areas, very much like television ratings that tell the networks how many people tuned in to a program. We only use such data in the aggregate. This collective data helps us determine how much our audiences use parts of the site, so we can improve Winthrop products to assure that it is as appealing as we can make it for as many users as possible. No information is shared with any 3rd parties under any circumstances. We already work with a significant number of Australia’s largest organisations. 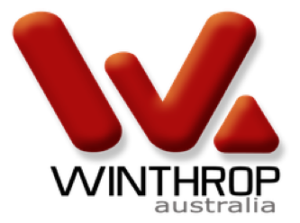 Winthrop Australia provides a range of services which are designed to be flexible and match the IT requirements of your business. We pride ourselves on our partnership approach, and all consultants are highly skilled and motivated professionals with hands on experience in their areas of expertise.